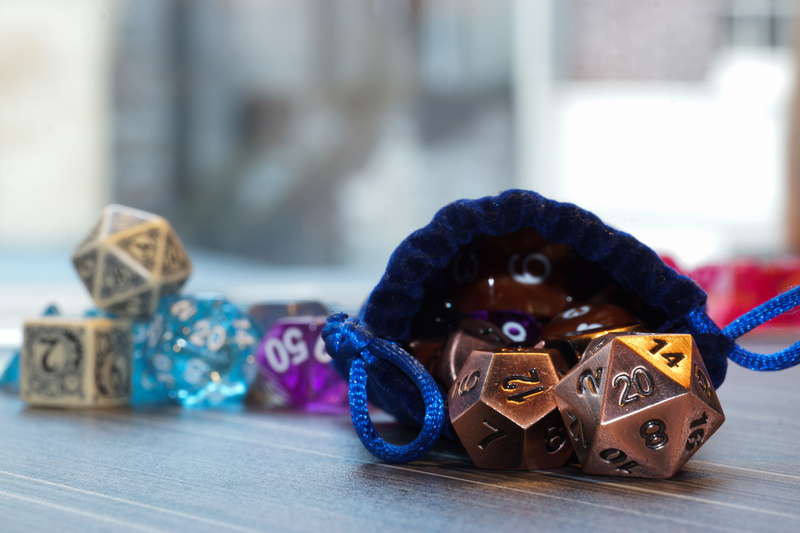 An activity popular to many members of our Society is Tabletop Role-playing, which mostly involves rolling lots of dice and hoping for the best while one member of your group (the Game Master) cackles gleefully as they decide what fate befalls you. We run one-shot RPG evenings on some Thursdays at 6 pm, where a number of our members will run a single session role-playing game scenario. Just turn up for these and find a role-playing game that suits you. We also have a stock of RPG materials that can be borrowed from the Society subject to a deposit. There are also longer campaigns ran by members. If you want to get involved in these, it is best to watch our Facebook group for advertised campaigns, or to get to know people at our events and arrange something together. However, we do consistently find that there are many more people wanting to join RPG campaigns than there are people willing to run them. As such, as a Society we want to do everything we can to help you run roleplaying games. If this means that you need materials such as dice, or advice on how to run a game or what different games there are that can be ran, just ask and we will do our best to help.